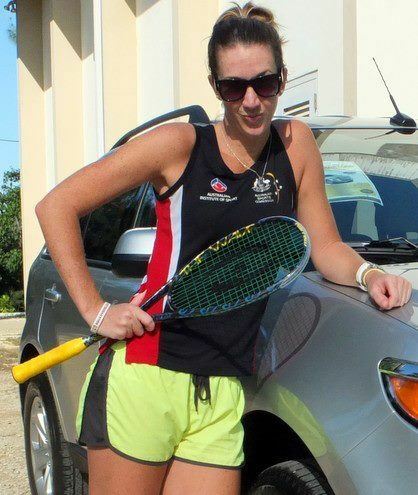 The Harrow Spark squash racket! On my home scale, the Harrow Spark 2014 Jonathon Power version weighed 142 grams all-in. There’s also a Jonathon Power Signature version of the Spark, which is sometimes known as the Harrow Jonathon Power Custom Spark. 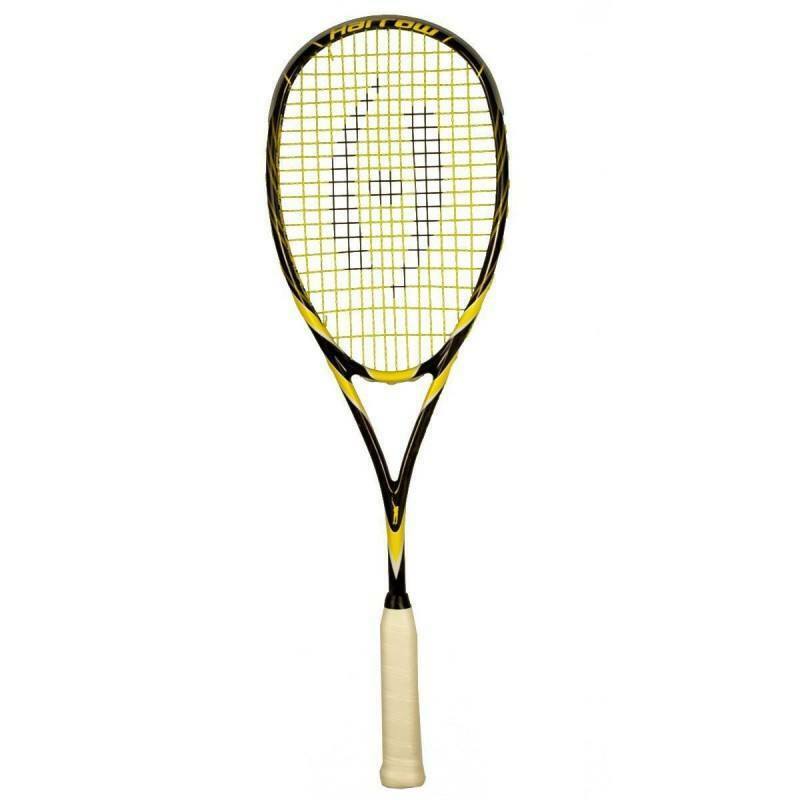 If you buy this racket, what happens is Jonathon Power gets an alert. He immediately goes downstairs to his squash lair, and takes a brand new Vapor out of the wrapper. He slowly, methodically whittles off parts of the racquet until it is the perfect weight and he cannot remove a single ounce more. Then, in one fluid motion, he hand-paints his signature onto the frame. He then places the racket onto a special pillow made of old bandanas used during competition play. He lights a candle, and then sprinkles onto the racket some rubber that he has previously shaved off a squash ball using a microplane. And then, he ships the racket to you. Here’s the 2014 version of the Harrow JP Spark. This is the one from my video review above. 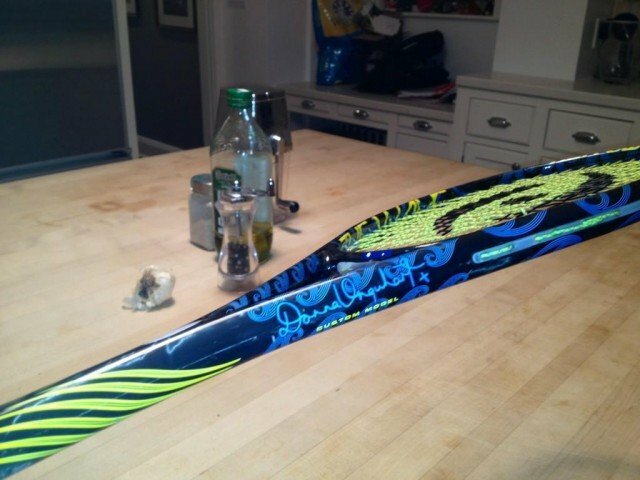 Also just wanted to give a quick shout-out to Kasey Brown’s Harrow Custom Spark, which I have to say looks pretty cool. 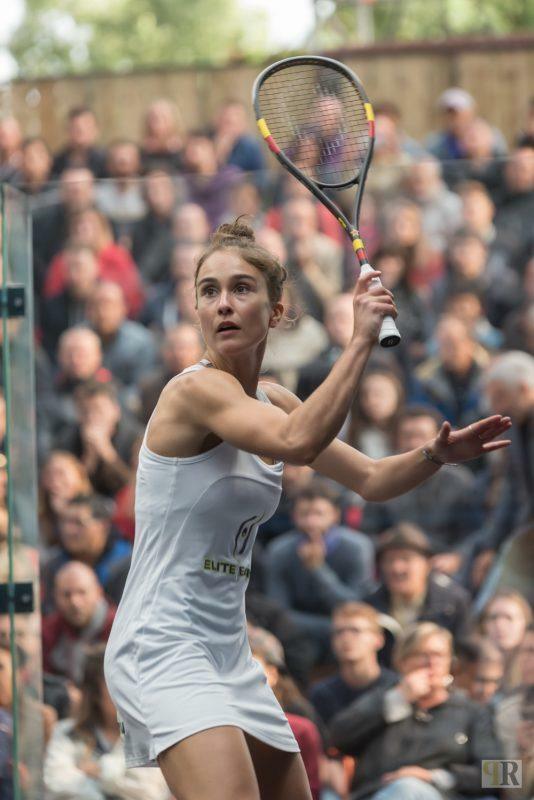 Thanks to a reader named Bopper for spotting this photo on Twitter, and another reader named D for the tip that this custom racket is based off the Harrow Spark frame. As luck would have it, I actually got a glimpse of the genuine article in my league match earlier this week. Someone on the opposing team was actually playing with The Wave! He said he really liked the feel of it and since he’s sponsored by Harrow he was able to get a few for himself. 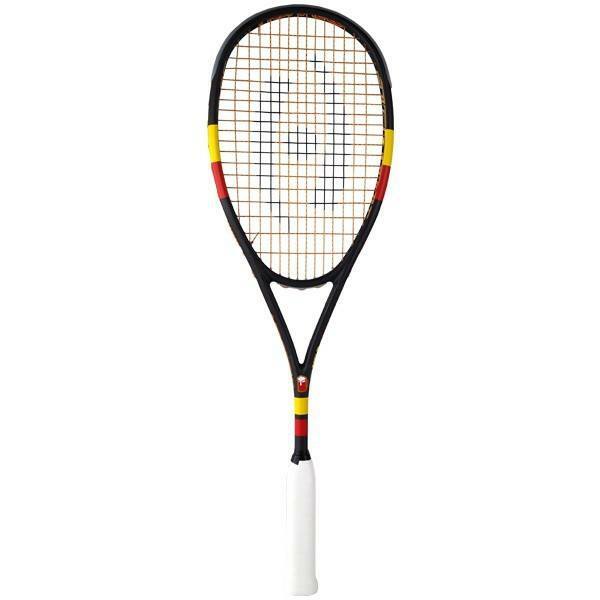 This is an exclusive custom racket for the Korean Website, rackets-warehouse.com. Thanks to Fred Chin for the tip. UPDATE – on the Harrow Spark situation and the news is Very Positive! Last week i sent the racquet along with a letter to VP at Harrow USA in Denver. 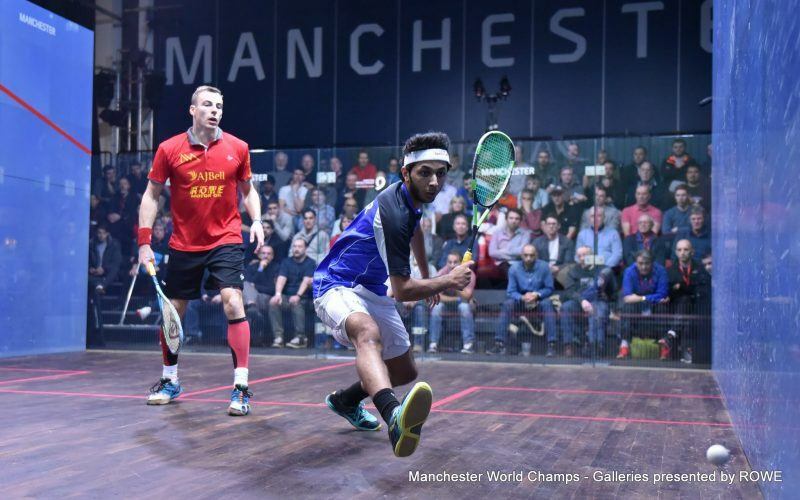 The racquet arrived at their offices on Monday late afternoon according to TNT. So I am very pleased with the customer service level of Harrow and their commitment to stand behind their products. It is a pleasure to deal with a company that will look after clients. 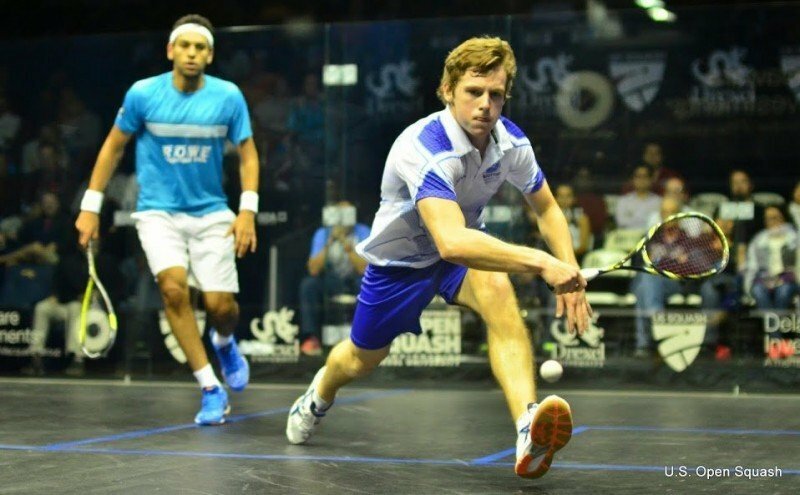 So I would like to express my thanks to Harrow and also to everyone on Squash Source who post excellent comments and advise. Bad news with the replacement JP Spark. Received the replacement racquet, my son has played 4 or 5 outings with the racquet, for an hour each time. treated this new racquet with love and respect, tonight he barely nicked the wall, not a real hard stroke at all, but the racquet cracked in the exact same spot as the old racquet, right at the top, dead center. Not impressed at at! Son was almost in tears tonight! Based on two racquets breaking in the same spot I am starting to feel that there is a design flaw with this racquet. I have a JP Vibe that I play with and quite like, the racquet though has a much sturdier frame. But then again it is a wee bit heavier than the Spark. Wonder if the newest Spark is built better or if it has a weak spot also……..
Take it back to the shop again and ask for a replacement, and if that fails, write in to Harrow and give them a piece of your mind! (And ask for a replacement!) You have nothing to lose! Stay off Harrows, eyes and Princes, unless you have deep pockets! Thanks muchly! Yes i think i am going to get my son into a different racquet. 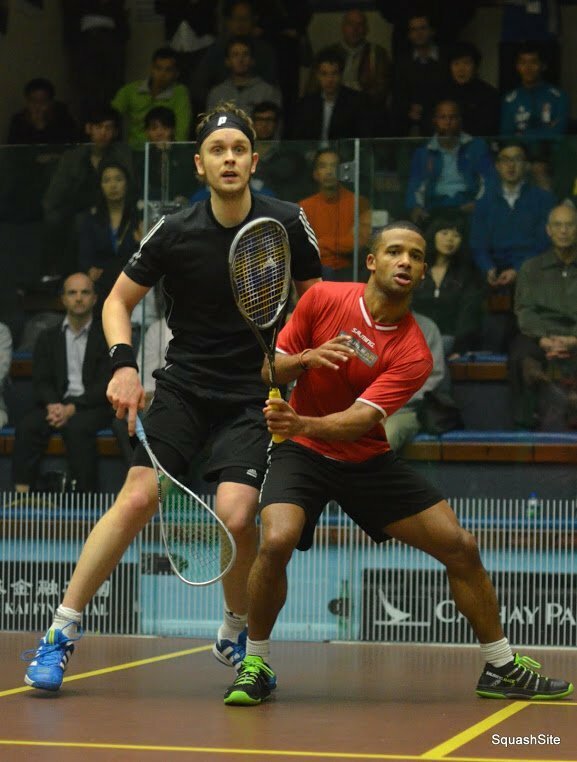 Not such what as he is a heavy hitter and tends to think he can get every ball possible…..
Maybe a Technifibre? He is only 15 and so will only get bigger and stronger lol. Yes, Tecnifibres are generally more durable compared to other brands. The Carboflexes (125s, 130s) are a good bet, and close to the weight of the Spark. My young son has (had…) the JP Spark edition, played with it for approx 2 month on average three times a week. He is not a strong heavy player, yet the racquet has already broke right at the top of the frame. 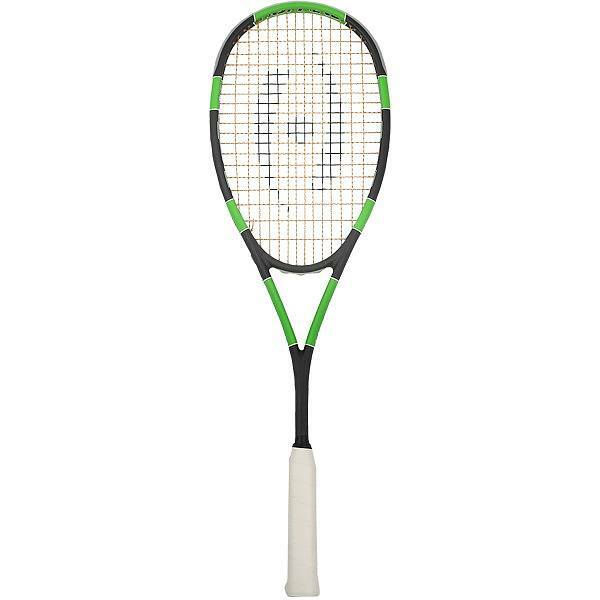 Based on the cost of the racquet ($199.00Canadian) i am pretty disappointed in the construction of the racquet and would expect much better life. Pierre have you or anyone else had any feedback from Harrow in regards to broken racquets? Seems that this JP Spark has a number of complaints of breaking prematurely. 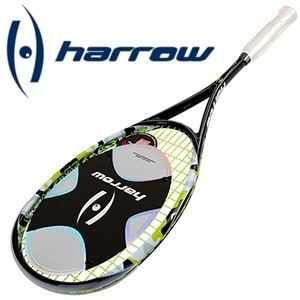 Has anyone had success with Harrow providing warranty on the racquet? I bought one, got it restrung, and it broke at the top the first time out! I managed to change it at the pro shop I bought it from luckily, so you might want to try that. It helps if you are a regular customer, of course. Understandably, the pro shop or even Harrow may not want to replace it if it has broken at the top, but hey, if you don’t ask, you’ll never know. All I know for sure is I won’t be buying Harrow again for a while! Thanks muchly for the note. My son purchased it from a shop that my nephew is a VERY regular squash equipment customer. So we have given it to him to take in a see about a warranty replacement. We shall see what happens and i will be definitely posting how we make out and the stores name both good and bad. I agree with Lawrence, best thing to do is contact the shop you got it from, or contact Harrow directly. I’ve never broken one myself but like you, I have heard complaints of Harrows breaking easily. I hope they are good about letting you exchange it. Hey, thanks muchly. I should hear this week on the racquet. Will post the results for everyone to know once we get a final outcome. Great News on my son’s racquet. We dealt with the Sweet Spot in Edmonton AB. They were able to work with us to get Harrow to provide a one time replacement on the JP Spark. So we are pleased with the outcome. I just hope that the replacement JP Spark racquet lasts longer this time than a couple months. D, try the new Dnamx string 18g it will take the vibration issue of the 305+ away, give you more consistency and I believe it is a little more powerful than the 305+. Dnamx seems softer smoother then both the 305 and 305+. Enjoy the game! D thank you again for your insight always great to hear what others are experiencing. 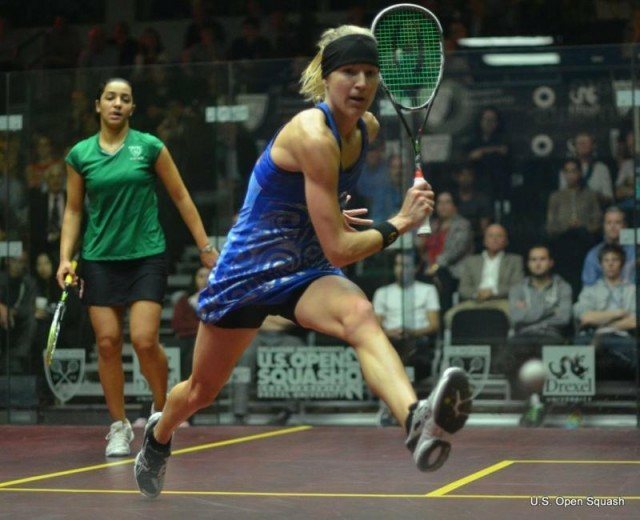 You are correct in getting use to a racquet and string to adjust your shot along with why we like racquets that tend to be like what we are using or like. I certainly can’t use any excuse that the racquet and or string is to blame it is all me making the right shot and executing. I do enjoy trying different racquets and experimenting with strings and tensions. But I agree with you one has to adjust to a racquet to get it to do what one wants it to do. Enjoy the Game! Im still using my sparks! 305 or X-one Biphase at 24lbs. I tried a vibe but i just couldn’t get used to the balance felt awful to me. I’ll keep an eye out for the kasey brown editon! And Im looking for the new one, the black/yellow with the diving logo. It looks so cool. I hope I could find the spark with the waves. It looks very nice, I think its very hard to find it. Im getting use to it, it helps me to win against a guy that I was losing for 2 months in a row! !!!!!!!!!! It was a great add to my game. I’ve currently got the two JP custom Sparks and a black&yellow version! shouldn’t take too much longer to get used to the frame. i’ve actually got one that was pre-modified by a pro so the bumpers gone and the end-caps been removed as-well as being filed down so it feels weight-less which was a fair challenge when adjusting to my short-game. I’ve been looking for a Custom BAT Spark but haven’t found one ANYWHERE! still keeping my eyes open….aswell as my poor wallet. 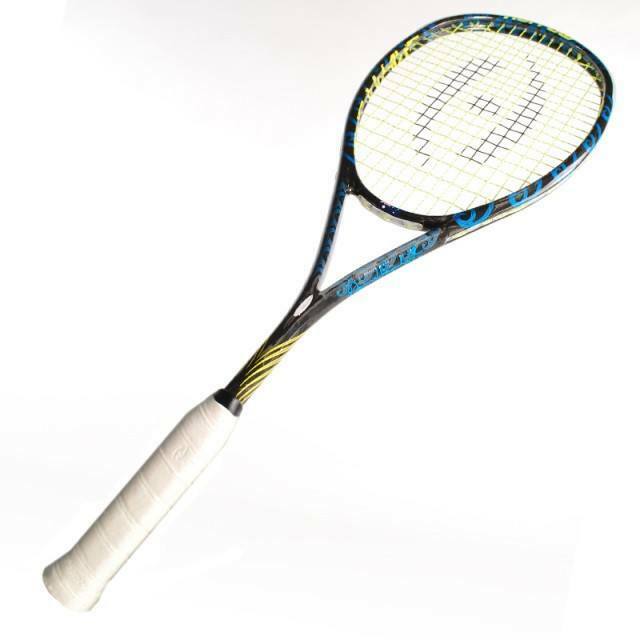 I currently use Karakal SX-100 which is extremly light and easy to swing., but I’m lacking of power. And now all the raquets in my hand feels quite heavy. Just holding JP Spark in my hand, seems to be very head heavy. Does anyone can compare it’s manouverability to other rackets. I’m afraid it might slow down my swing. I Recently switched to the spark and I cant explain how much I feel my shot-making has improved within a few games. 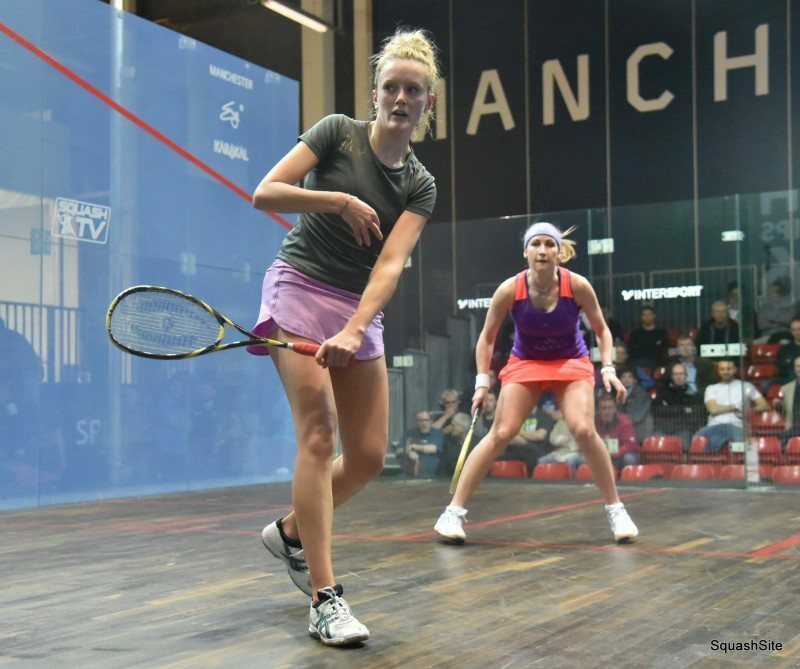 There isn’t much going off with the vibration when you hit the ball so its nice and easy on the arm however i feel it feels reasonably weighted in hand but when on court its just so maneuverable and helps short-swings in deception and desperate retrieving. 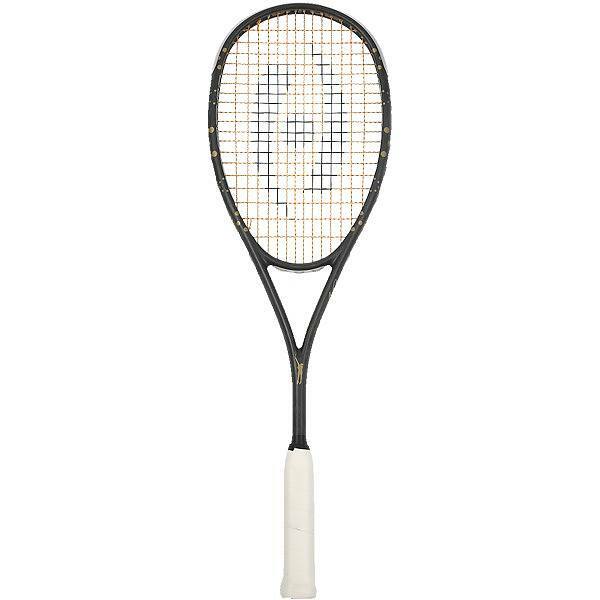 I’ve seen a few reviews labeling this racquet as “Brittle” however I can’t really comment on this because since using the racquet I rarely make contact with the walls anymore which was actually picked up by my coach and by a spectator oddly enough. To Conclude so far i have enjoyed playing with my spark as it has increased my ability to create chances and finish rallies with killer touch and power at the same time. I Just Need A String Upgrade as i’m currently using a Pointfore string! Haha! Tecnifibre 305 Here We Come!! How’s your Spark holding up? I’m considering buying the Kasey’s Brown Signature Edition, but I want to know if the racket holds at least a year. My last racket, the Head Xenon² 135 holds more than 1 year and a half. Holding up pretty darn well to the point that i brought 2more. My first unfortunately cracked under the bumper but didn’t go all the way through and is still pretty playable despite me fearing for my life when putting pace into hard kills. I’m actually after one of the yellow bat sparks but have been unable to find them and they aren’t in production according to harrow. If you’d like any more info from me don’t hesitate to contact me! Where are you getting the kasey brown signature version?? Looks pretty good to me! thanks for the answer, I really apreciate and I take your comment in consideration. I bought the Spark Kasey Brown Signature in Brazil, they still have in stock. The racket is awesome, but I still need a couple weeks to get use to it. It’s very light, and I could do drills very easily, on the other hand, for being very light, Im missing some drop shots, so I got frustrated on my 2 first games, I have a challenge tomorrow, I hope my spark would make me win the next match. How long did you take to get use to it? 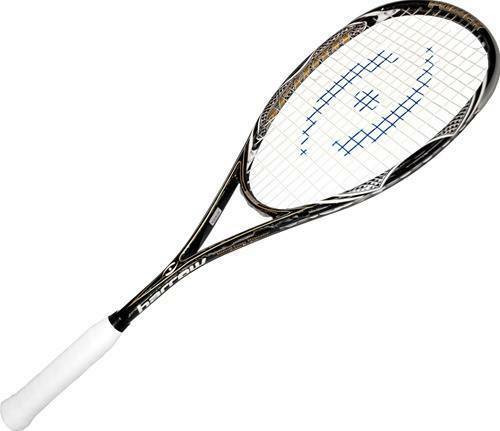 I’m asking because my last racket was the Head Xenon 140, and the Spark, unstrung, it’s only 120g. Did you have the same problem as me? How is the second one holding up? I have a Vapor play well with it and don’t know if I should get another or the Spark? Been playing with the Tecnifibres Carboflex 125 and Dynergy 117 and enjoyed them easy on the body but just missing something so picked up a used Vapor and play better more consistent rails and drops. Seems to be stiffer and not as forgiving on the wrist but I am liking how it plays. Have tried Prince line all just to heavy and the Rebel gave me mild Tennis elbow very stiff racquet. Dunlops are to dead or flexible not real good feeling and all so head light to square of a grip. Heads seem to vibrate to much. Well, I have two of these, despite reviews online stating how fragile Harrow racquets can be. Just broke one frame beneath the bumper about 5 weeks after I bought it. I definitely don’t bang anything on the wall, aside from side swiping on tight lengths. It’s too bad, it’s a great racquet. We’ll see how the second one holds up. How’s your second holding up? I’m considering buying the Kasey’s Brown Signature Edition, but I want to know if the racket holds at least a year. My last racket, the Head Xenon² 135 holds more than 1 year and a half. Almost a year later anyone have more feedback on the Spark? I have been using the Vibe and really enjoying it strung low tension with 305 seems to work well for me. Heard the Spark is stiffer and can generate more power and better consistancy then the Vibe? Someone mentioned the head size of the Vibe being bigger then the Spark so the Spark is better in the corners agree longer but not bigger to effect digs that I see. Any thoughts? Seems like there are a lot of racquets that are bigger then the Spark and haven’t heard of problems digging. JB, the Spark is indeed stiffer, but I wouldn’t say it generates more power. It’s quite light, with great control, and feels more damp than the Vibe when you hit the ball. I would say the head size difference is quite minimal and wouldn’t be much of a factor in letting you dig a ball out. More important would be the swing weight of the racquet and your technique. The Spark and the Vapor are indeed more consistent than the Vibe. Since the Vibe frame is quite thin and flexible, it deforms more and I find it “launches” the ball a lot more. The Vapor, at 5g heavier than the Spark but otherwise identical, would be the more powerful of the two. It is also a bit more durable. I’ve been playing with the Vapor since my Sparks broke in 2013. My favorite of all the racquets I’ve played with over the years. 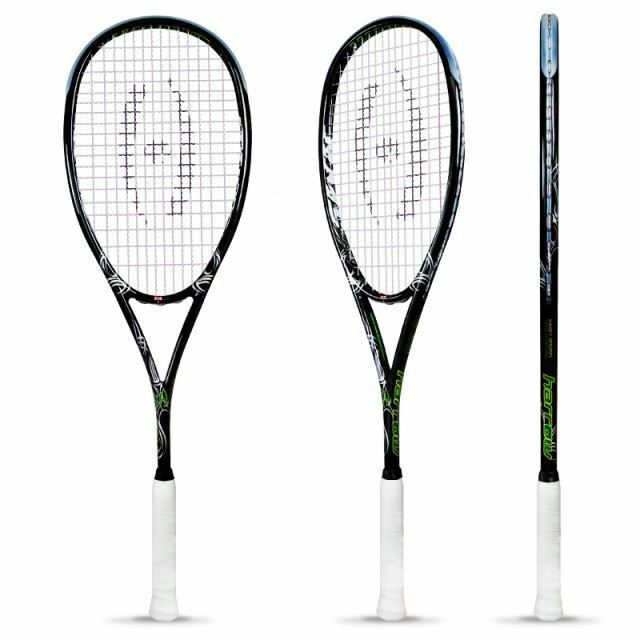 However the cost of Harrow racquets has lead me to try the Xamsa racquets this week, and I like the CNT 135. Like a Vibe, but stiffer. D great insight thank you! Xamsa I am not familiar with the brand and will have to check it out. What string are you using and at what tension in your Harrows? I have heard the Sparks are brittle compared to other Harrows I assume weight is part of it less material less weight less strength. Thank you again. Enjoy the game! You’re welcome! Pierre has written about Xamsa before, and has a video review. If you’re in North America, they would be easy to demo. I used to live in Montreal, and when I went back for a visit, several players at my old club were using Xamsa racquets. I also had a chance to watch Reiko Peter play Martin Knight in a local tournament here in Toronto (best match of the pro draw) and Reiko plays with Xamsa as well, which lead me to give the demo program a try. As for the strings on the Vapor, I used Ashaway Ultranick 18s at first. They are my usual go-to string because I like the cut on the 18 gauge with the softer feel vs Powernick. I also find them more durable than TF 305 1.1mm or Powernick 19s. After playing with Ultranicks for awhile, I settled on Supernick XL Micro , the 18 gauge yellow ones, as they gave the racquet a slightly more headlight feel. Then I got used to them and they stuck. Usually strung the UNs at 27lbs, the Supernick Micros at 28lbs. Going to go back to giving TF 305 strings a try along with Ultranicks on my Xamsa CNT 135. I find that once you’ve narrowed down a particular group of characteristics (softer feel, thinner string, etc.) it’s just a matter of getting used to it and adjusting your shots. Eventually it’ll become instinct. Same goes for any racquet, they just take a longer time to adjust to. The larger the difference between racquets, obviously the more time it’ll take, which is why people tend to like racquets that are close to what they’re used to. Just to add – I gave up on the Xamsa CNT 135 and went with the TF Carboflex 125s. Hey JB, I do love the Harrow Vapor, but had gone through 4-5 of them in the past two years.. and more Vapors and Sparks in the past 4. Could also be a bad batch. Many people at my club were experiencing breaks in the top of the frame beneath the bumper. It was enough though to have me look for something more durable. 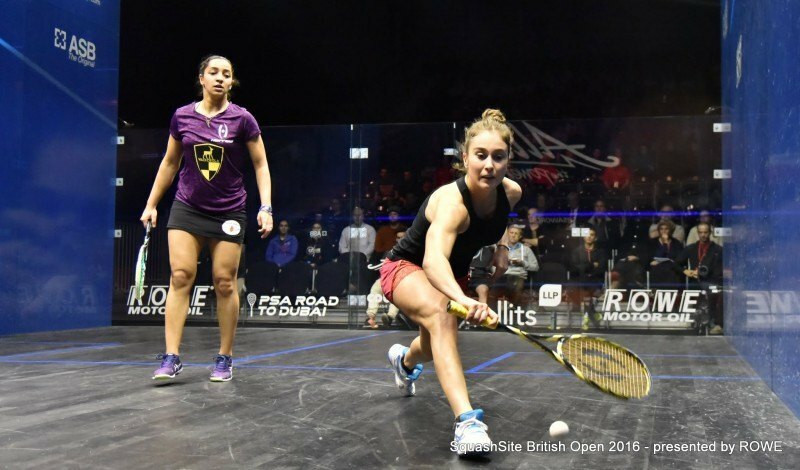 While I initially liked the Xamsa, the weight was different enough that my backhand was slower, causing a bit of elbow pain, and I wasn’t keen on getting tennis elbow while adjusting. I also heard good things about the durability of Tecnifibres. I demo’d the 125 S and took to it immediately. True, it vibrates a bit more on off-center shots and is less stiff, but I really enjoyed the balance and handle. I think a different string and tension may help dampen it a bit. I certainly like the reserves of power, I just don’t need it all the time. D great points on the Harrow’s I guess I have just been lucky on the breaking or not breaking any yet. The string tension idea is right on and I too took to the 125 balance and enjoy the handle size and played around with tensions a bit but probably should have tried a real low tension and then go up till it all comes together. Might give it a try again… Then thinking of the AP series slightly smaller head though and that would mean a smaller sweet spot. I enjoyed the Pro Beast 750 but seem to fall back on the Harrow. I know what you mean about the 125s power it is at times over the to top! But if you cut the ball just a bit more than you are use to it will die nicely and not over length as much. Let me know if you change it up or change and try anything else. By the way what tensision are you using? Enjoy the game!